Carrie interviews ZAP Fitness coach Pete Rea! Pete talks about his top athletes at the 2018 Boston Marathon, coaching strategies, facilitating adult running camps, and much more. Pete is the Elite Athlete Coach and Coordinator at the ZAP Fitness Team USA Training Center, and has been in that role since ZAP’s opening in 2002. Since ZAP has opened Rea has guided more than three dozen athletes to Olympic Trials berths in distances from the 1,500m to the marathon. In addition, under Rea’s tutelage, 5 ZAP men and one ZAP woman have qualified for the Senior World Cross Country Team, 2 have qualified for the IAAF World Track & Field Championships (2011 and 2014- marathon) and one (Tyler Pennel) was the winner of the 2014 USATF Marathon Championship and member of the World Half Marathon Team. Additionally 5 women and 2 men have been selected as part of Team USA Ekiden Relays in Korea and Japan and 3 ZAP athletes have earned berths on the North American Championship XC squad. The ZAP fitness men also won the 2006, 2007, 2009, and 2014 USATF National Club XC Championship. Rea ran for the University of Connecticut where he graduated in 1992 (Journalism / American Literature) as an All Big East Conference XC Selection. After college, while receiving his master’s degree, Rea ran for Team Nike South and began coaching local Atlanta high school athletes and open men and women. Rea’s training philosophy is based on a long term view toward success with each program being highly individualized. Rea’s athletes are extremely varied in their training based on background and what each body can handle in terms of overall volume and intensity. 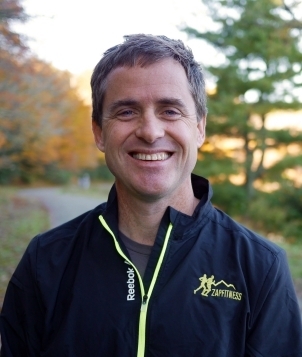 Rea is a senior columnist for New England Runner Magazine as well as a contributing editor for Active.com.